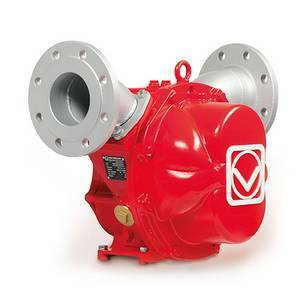 Vogelsang designs, develops, and manufactures a variety of pumps and systems from rotary lobe pumps to in-line macerators. 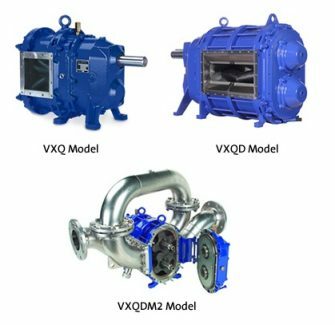 A wide range of pump options allow engineers to have flexibility in selecting a pump that will suit your specific application and operating conditions. Vogelsang also sell solids handling products that are made to product your investments by preventing excessive wear and tear on downstream equipment. Starting off as a tank system manufacturer, Vogelsang created the rotary lobe pump in 1970, since then Vogelsang has been at the forefront of major innovations and advance in positive displacement rotary lobe pump design. The robust and powerful rotary lobe pump became the core product and is suitable for pumping highly viscous liquids containing abrasives, solids and debris. Vogelsang is also responsible for inventing the RotaCut inline grinder that revolutionized the way solids are reduced and separated from a liquid. RotaCut offers true protection from debris and solids for downstream equipment. 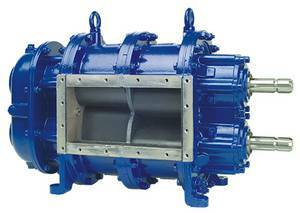 They are placed at the suction end of pumps, belt presses, centrifuges, or other dewatering components to extend their life. Vogelsang is proud to build its products in the US that are sold in North America and also to service thousands of installations and satisfied customers all over the world. The IQ-Series Rotary Lobe Pump features the exclusive 4 wing HiFlo lobe design and has been specifically designed to reduce the number of spare parts and maintenance time compared to other brands. The IQ pump can pump highly viscous liquids with a laminar flow. The housing is only one piece making it easy to work with. 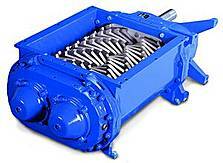 All Vogelsang pumps have dry run capabilities, bidirectional flow, and are self-priming. 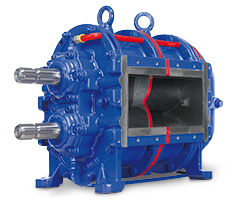 The discharge and inlet connections rotate so that you can configure the pump to the position that suits your needs. Additionally, there are a variety of steel and elastomer options to choose from. The Vogelsang VX Series features a variety of HiFlo technologies that can increase flow and pressure capacity. The HiFlo Q series come standard and can handle most applications requiring a positive displacement pump. The HiFlo QD series can handle higher flows and medium pressures, while featuring a larger wet end and outboard configuration to eliminate deflection. The Marathon QDM2 series can handle high pressures and flows with a two stage outboard configuration. All Vogelsang pumps can be run dry, have bidirectional flow, and are self-priming. The Vogelsang FX series pump is an excellent everyday farm pump. It features the three point hitch, PTO drive, and quick connect flanges making it a highly mobile and easy to use pump for anywhere on the farm. The FX series can handle fibrous solid matter such as manure and features bidirectional flow. The Vogelsang R series is the workhorse pump line that can handle all types of agricultural applications. The pump is highly mobile and can be easily transported and set up almost anywhere on the farm because of its small footprint. They are best used in filling and emptying tankers, transferring slurry, and cleaning out lagoons. Vogelsang offers the RotaCut and XRipper twin shaft macerators. When combined with pumps, the Vogelsang shredding technology can guarantee smooth operations in biogas and sewage treatment, food and raw materials processing, and agriculture applications. Vogelsang shredding technology can protect your system from coarse matter and foreign debris. 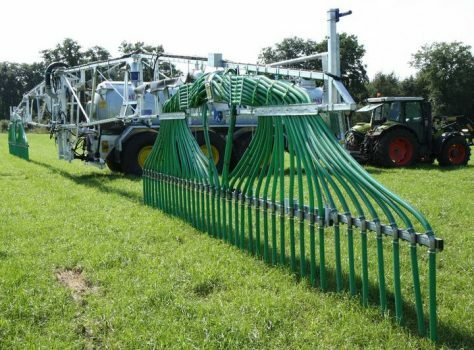 Vogelsang offer a wide variety of other products for sewage systems, tanker systems, agriculture land application, strip tillage, and irrigation systems. Sewage systems can be used for marine, railway or vacuum disposal applications and feature the Vogelsang rotary lobe pumps. Vogelsang spreading technology enables maximum efficiency no matter the weather conditions and even on growing crops. The XTill is a stip tillage machine that is gentle on soil with optional root-level liquid manure fertilization.